Never mind it’s Halloween, these renovation horror stories will freak you out. We’ve been doing our homework, and asking around to see what is the scariest thing about home renovations. And almost everyone agreed that the single, most disturbing thing is not knowing what you will find hidden behind the walls. We hear you! You never know what you’re going to find. And if you’re not prepared to face them, you will probably fall into the dreaded land of home renovation budget overruns. Here’s a list of possible house monsters who might be dwelling in your walls and how to detect them. Be on the lookout for these, and you’ll prevent home renovation nightmares. A house is much more than a building. It’s a place full of stories, a piece of the past that becomes ours to continue molding with new anecdotes. Precisely because we want to make it ours, renovations are part of the deal. Sometimes, those stories become home renovation nightmares. We can certainly tell you spooky anecdotes from very experienced professionals in the field. Tales of the horrors they’ve found hidden behind walls. Living or dead. Our friend Keith Gerety, president of Gerety Building & Restoration, remembers: “As a home remodeling and restoration contractor we get the opportunity to work on historic homes in our area. In addition to the occasional animal skeleton, old newspapers, and historic tools we find behind old walls, one spooky moment was a family of flying squirrels that jumped out of the wall as we began tearing it down. This certainly gave us a fright!” Yes, a family of squirrels flying at your face is not a treat. Deborah Lamberton, general manager of New Life Restoration, recalls a very spooky experience: “Our team was working on a restoration project in a home where the owner had recently passed away in the house. As they were working, a member of our crew claimed he kept hearing an unusual sounding “hello” multiple times throughout his the work day. He assumed it was one of his coworkers, but after speaking with the team, no one claimed to have been the unusual voice he heard – spooky! Yet, as scary as these sound, there are other monsters who might be dwelling in your home all year long. These are the real home renovation horror stories you must watch out for. Not just on Halloween but all year round. As your house gets older, there are certain things that inevitably have to be replaced or repaired. Knowing what to look for will help solve problems before they become nasty surprises, with a burden for your budget and your stress. TIP: Use our Real-Time Remodeling Calculator, and Find Out in Minutes How Much Your Home Remodel Would Cost. Water is a great enemy of any home, but it’s an easy issue to diagnose and correct. As the soil around a house takes time to settle, so does the structure that is resting on top of it. These movements can result in costly leaks and other moisture-related problems. One way to combat the buildup of unwanted moisture is repairing broken guttering. A broken spout can potentially send thousands of liters of water to the soil around the house. When repairing the broken gutters, direct water away from the house, it can solve the problems related to water entering and eroding the foundations of the house. Lack of insulation is directly related to higher utility bills. Sometimes, older houses present windows without isolation and of a single crystal, as well as probable little insulation in the attic. To combat this isolation problem, caulking around windows must be repaired. Adequate insulation around the door frames must be installed, and a professional should be hired. The extra money spent on doing this will pay off in energy savings from now on. If your home has more than 60 years and has not been updated, then you probably have steel or copper pipes everywhere. These types of pipes are subject to heavy erosion and mineral build up. This leads to lower water pressure and even pipes bursting. On the other hand, copper also has its own problems of breakage. Replacing steel and copper pipes is necessary to prevent water from becoming an unwanted threat at home. If you’re thinking of remodeling your home, take this into account and set aside a part of your budget for it. Until recently, the steel and aluminum windows were the best substitutes for the old wooden or weighted iron models. However, these types of windows tend to rust and break, allowing outside air pass through. If you live in areas where winter might be tough, replace old windows with new efficient models that come in all sorts of different designs to suit the style of every home. There are several problems with wiring and electricity in homes. A major problem with old houses is that the electrical system has insufficient capacity and doesn’t keep up with the demands of today’s homes. When the electrical needs at home are greater than what can be handled by the electrical system, it makes failures and the regulator is set to alarm. 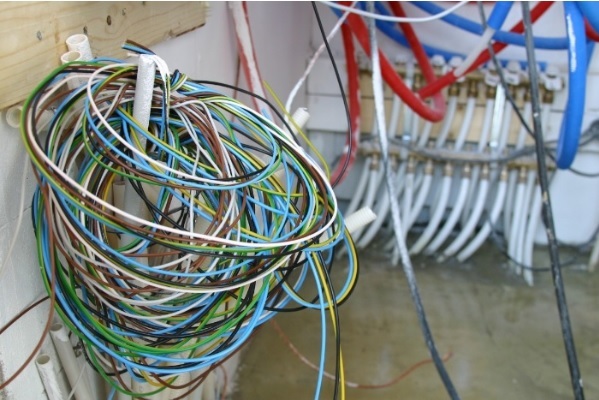 If you experience this, then it is time to call an experienced electrician to upgrade the system. Old heating and cooling systems of ducts can have leaks that contribute to low energy efficiency and high energy costs. If you are to spend more and more money every year in heating and cooling, then it might be time to update to more efficient systems. What are the conditions of the roof? The replacement of the entire roof is one of the most expensive tasks in reforming a house. It is also one of the most uncomfortable because during the work it is impossible to inhabit the building. When carrying out this task, it is best to find a professional who knows how to value the old roof and try to make the most of the resources that the house offers. One of the worst and most costly problems associated with old homes are related to their foundation. Foundations can sink over time, resulting in cracks in exterior walls, windows and doors that stick and sliding floors. The horizontal cracks are an indicative sign that the house is too heavy for its foundations. A crack with an irregular surface can mean some movement in the house: perhaps the land beneath it is unstable or there is a major hidden problem. Above all, pay attention to weather patterns in the area. Is it subject to large amounts of rain, floods or landslides? These factors influence the quality of the land and therefore the consistency of the house. Another factor contributing to foundation problems is the appearance of large trees that have grown next to the house and have roots that extend beneath it. The first thing to do if you notice that there are foundation problems is to find out why the foundation has moved and whether it will continue to do so. Remember to take all of these into account when you embark on the home renovation journey. If you keep these in mind, you’re most likely to steer clear of home renovation budget overruns.